A ruptured pipe or broken sprinkler left undetected can result in substantial damage. Plants and ground cover can be flooded, slopes can be eroded, and hundreds of liters of water can be wasted. Hunter created the Flow-Clik flow sensor to guard against these damages in the event of a rupture. 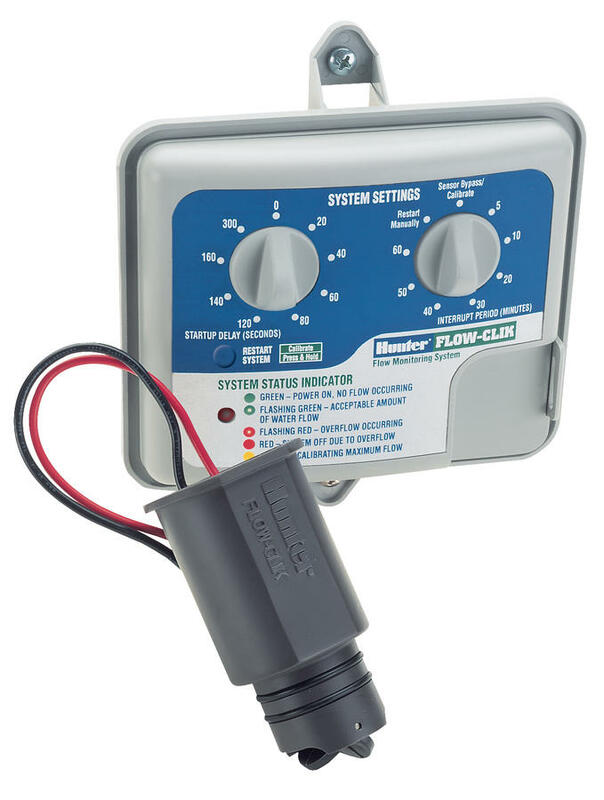 The Flow-Clik can be programmed at a specified level of flow. It will shut down irrigation if it detects a flow rate higher than the programmed limit. Therefore, the amount of water loss and system damage is substantially reduced in the event of high external leakage. FLOW-CLIK* Standard kit for all 24 VAC controllers. 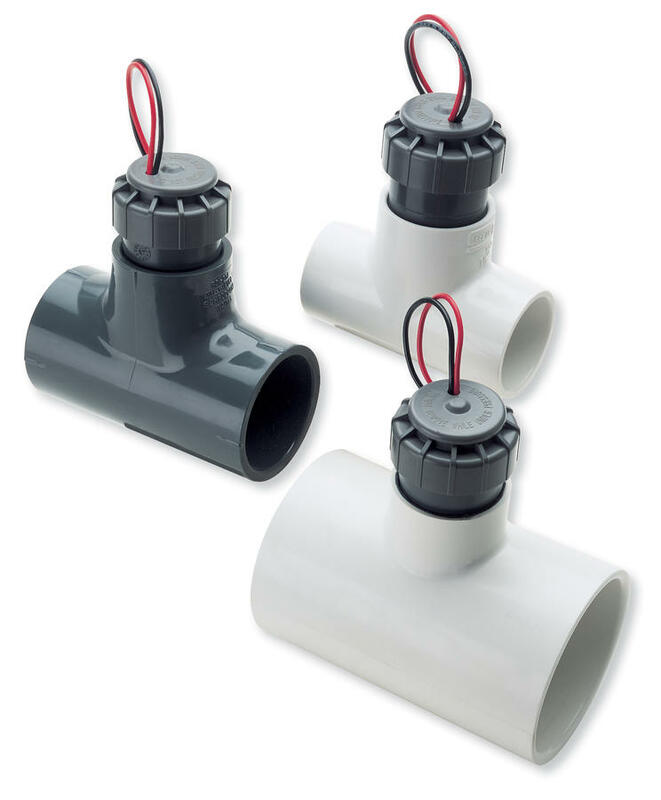 Includes sensor and interface module, sensor requires FCT for pipe installation. Max. distance between interface module and sensor: 300 m. 2 wires required for Flow-Clik sensor.